These beaded necklaces are great to wear or hand out during any Mardi Gras event. 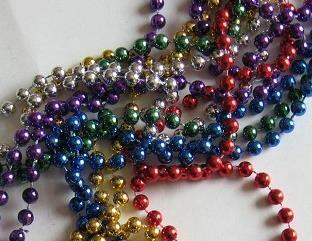 The beaded necklace comes in traditional Mardi Gras colors. Made of plastic.